Congratulations to music education faculty member Nathan Kruse who was named the 2018 Distinguished Alum for the University of New Mexico’s College of Fine Arts. 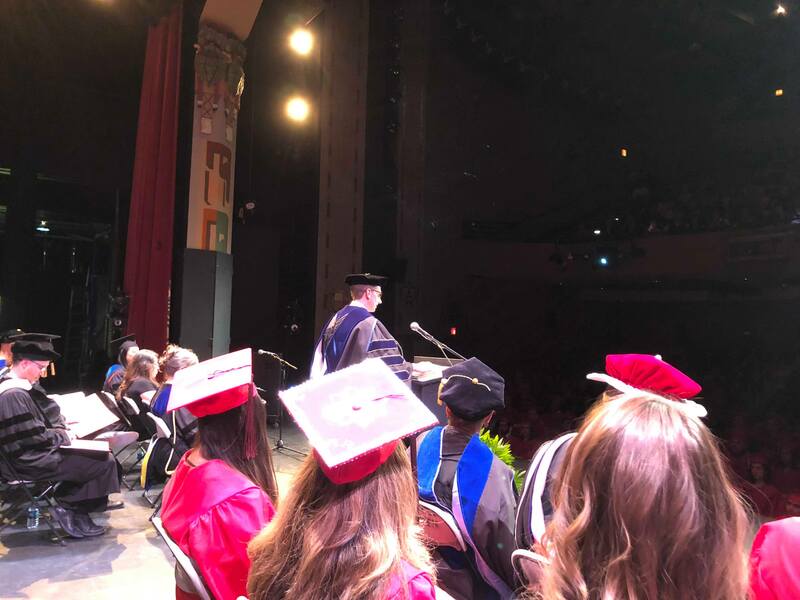 He gave a graduation address at the Spring Convocation on May 10 at the KiMo Theatre in downtown Albuquerque, where he spoke about his education at UNM and the current graduates’ role in conveying empathy through the arts. Kruse graduated from the University of New Mexico in 1999, earning a Master of Music in Music Education degree with an emphasis in conducting.